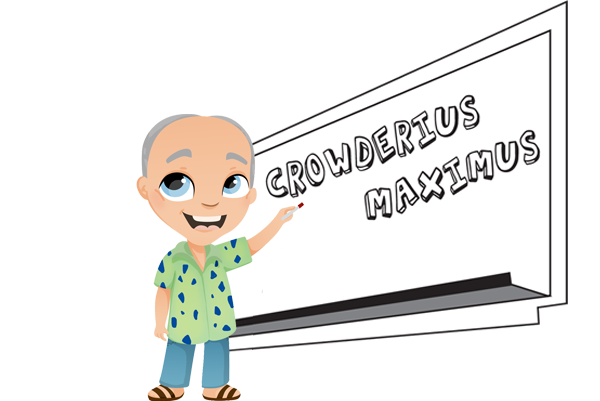 Welcome to Mr. Crowder’s Classroom Media Online! This is the first in a series of five videos all about Motion Physics. Made by Mr. Crowder for 6th Grade Physical Science. This is meant to educate all ages on how and why we know that objects will accelerate when dropped in gravity. First Law: Inertia – Things will move forever unless they are pushed or pulled by a force, and the more mass they have, the more they resist change. Force – How is it measured? Why do we use these particular units called Joules? Who is Joule and how did he figure it out? What are all of the 6 Simple Machines? What is a Mechanical Advantage? How is the Mechanical Advantage calculated, and how is it different for each particular Simple Machine? What is Energy? How is it calculated? Who is responsible for the term “Energy”? Where did Einstein’s Formula on the equivalence of Mass and Energy – E=MC^2 derive from? What is Acceleration? How do you calculate Acceleration? Why do you divide by time twice? How do you graph Acceleration? Every year, as a classic thought experiment and introduction to the Scientific Method, my 6th grade students are asked to reason what is inside the Mystery Tube. What could be causing the mysterious loss of string on one side the tube, and the gain on the other side? How do you graph Distance Vs. Time? Why is Time on the bottom of the graph when you make a graph for speed? What does it mean to be an independent, or dependent variable? What Exactly is Science Anyway? What is Science? It looks for the truth, but how is that different than religion? They both look for truth.. What is the scientific method? And what is the reason for doing science that way? And how far can we go? Will we really ever find the truth? The answer could be shocking. What are variables? Why is the title of a graph “y vs x”? How do you label the axes? When do you use a line graph and when a bar graph? Using Mr. Crowder’s Homework Upload button could be confusing, so here’s a little tutorial on how exactly you do it! In 2013 We decided to make a promotional video on LMS’s amazing Ultimate Frisbee Intramural Sport. This is LMS’s largest and longest running club, and our school’s love for the game is evident in this video! How and When did the Atomic Theory first begin? What was the first proof we had that Atoms existed? How can we tell that Atoms are even there? What were those first discoveries about the nucleus; electrons, protons, and neutrons? How do we weigh Atoms? This video makes the argument that basic math concepts should be taught in Science classes. Specifically Physical Science lends itself to teaching math. Why does everything accelerate due to gravity the same? There’s more force that pulls on heavier weights, so why don’t they fall faster? The answer is that gravity is NOT a force! Wait to the end to see what Einstein says in German. *WARNING* – someone’s head explodes!! !